"I applaud you (with a pinch of jealousy), if, regardless of your age, you keep yourself in great shape. I saluted you with a shirt fit designed to help you brag: our slimmest ever; mean, lean, utterly modern and ideal for peacocking about. You couldn’t get enough of them, so we made them in more color and fabric options. I’ll keep eating my carbs, thank you. " "Our trimmest fit: tailored close to the body at the waist with lowered back darts, sharply cut sleeves and reduced cuff depth. Non-iron for a wrinkle-free you." Please do not change the fit of this shirt! The first non-custom shirt I’ve ever purchased that fit perfectly out of the box. No alterations needed! I’m 5’11” and 175 lbs. This shirt fits better than my custom shirts! Response from Charles Tyrwhitt: We are very sorry that your recent order got lost on its way to you, which can happen on the rare occasion. We have organised the resend the shirts we have in stock to you via our Priority shipping and we hope you adore them once received. If you wish to reorder replacement shirts for out of stock items, simply call out 24/7 Customer Service Team on 1 866 797 2701 and we shall be more than happy to honour the original price with free standard shipping! 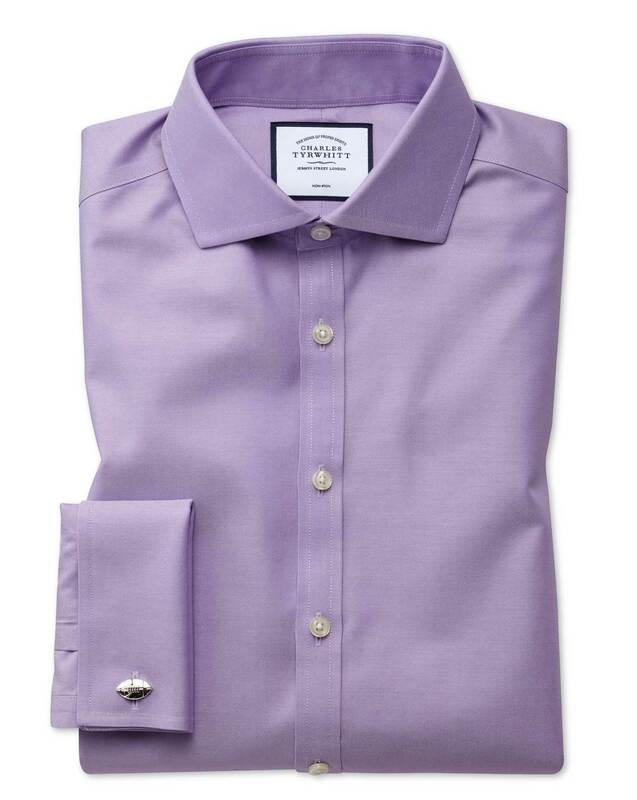 Great fitting shirts for those who want a very clean professional look.